Nobbie's Blog: Does Marc Anthony Believe in Aliens, And Who Is Alex? Does Marc Anthony Believe in Aliens, And Who Is Alex? 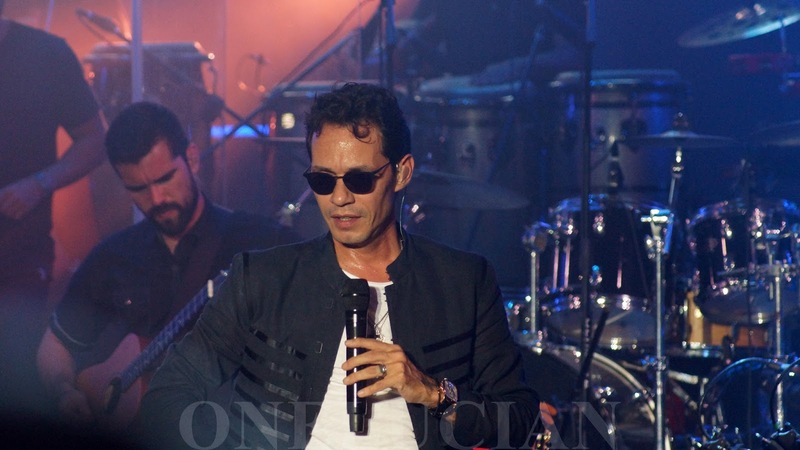 While performing at the Saint Lucia Jazz and Arts Festival main stage event last night Marc Anthony downed his stylish black jacket because of the sweat pouring off his body. Underneath was a white tee shirt clinging to his slender frame, drenched with macho sweat. Clear for all to see, on his right forearm was a tattoo of what appears to be an alien creature with the name "Alex" inscribed in script below it. Is Marc Anthony one of the stars who believes in extraterrestrial beings and maybe knows an alien called Alex? Also evident was a tattoo of what appears to be the Lion of Judah. No longer evident is tattoo he had inscribed on his wrist way-back-when, during his in-love days with Jennifer Lopez. Also seemingly missing is the tattoo of the Statue of Liberty which replaced 'Jennifer' for his third wife Venezuelan, Shannon De Lima. According to sources "Statue of Liberty" is Marc's pet name for Shannon. So what's going on Marc, you dating a Rasta chick now? JLO's tattoo is gone, and so is the Statue of Liberty. Come on Marc, the Saint Lucian people have a right to know what this is all about. Are you dating a Rasta on the side, Marc? Say it ain't so! 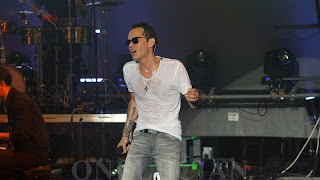 Performing to a swooning crowd of women Marc Anthony delivered as he was expected. A stage presence and performance rivaled by none. Fist pumping, gyrating hips, and a flurry of punches which would make any heavyweight boxer envious, Marc pummeled the air like he was ready to take on Mohammad Ali and George Foreman all in one. Well, maybe not, his two surly ex-Marine, ex-Special Forces grunts would definitely get in the way before Marc's well lotioned skin was touched by any boxer or angry ex girlfriend.